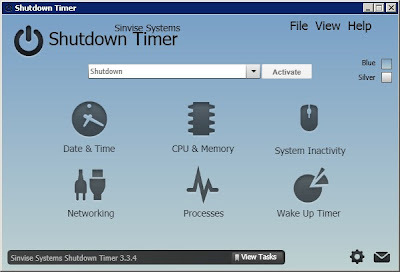 Shutdown Timer is an advanced and powerful task scheduling system, it allows you to perform certain actions based on events that you choose. With these tasks you have the power to enable advanced power saving features that your current operating system can not achieve. Shutdown Timer is very simple to use and with the first grade support you receive, you can't go wrong.